Selenium – Selenium increases a calf’s levels of immunoglobulins which helps strengthen the effect of a vaccination programme, as well as helping with old cell detoxification. Perfect for grazing and forage fed small ruminants, breeding, and milking ewes and goats, Bolutech Ovixcell from Neolait is trace element bolus designed to reduce the risk of nutritional imbalances in grazing and forage fed animals. Ovixcell is scientifically designed to make up for shortfalls in the trace element and vitamin content of feed for sheep and goats. By optimising the nutritional content available to an animal, Ovixcell has been shown to have benefits for sheep and goats at a range of developmental states. Zinc – Zinc helps to improve fecundity and fertility. Cobalt – A cobalt deficiency can cause lethargy, a reduced appetite, as well as poor wool, size and condition. Iodine – A lack of iodine has been linked to goitre in lambs, perinatal mortality, low birth weights and poor fecundity. Selenium/vitamin E – Selenium and vitamin E have been show to help prevent white muscle disease and infant mortality. Vitamin A – Vitamin A helps with steroidogenesis and embryo survival. Ovixcell is for sheep and goats weighing more than 45 kg. 1 bolus at grazing will supply a secure controlled release of trace elements for 120 days. Bolutech Flash from Neolait is a simple, secure, inexpensive solution for protecting cattle from hypocalcaemia. By providing a an additional 66g of calcium derived from two different sources, Flash gives cattle a boost that helps to protect against the effects of a low calcium diet. 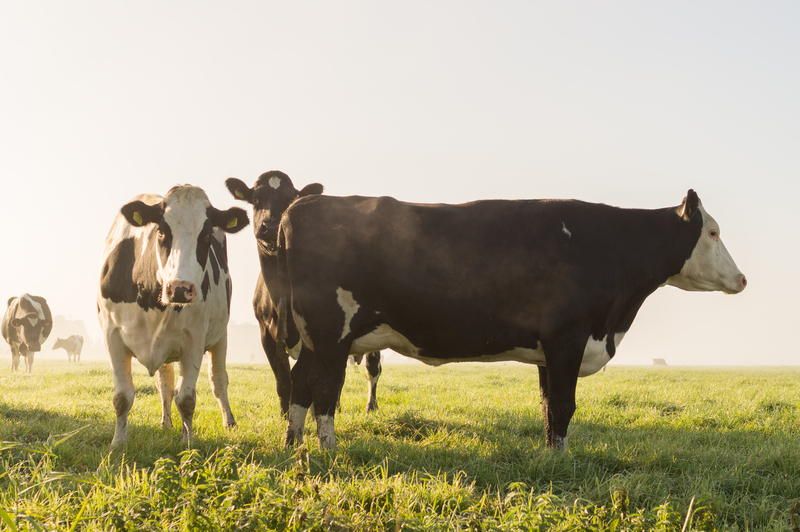 Hypocalcimia can cause a range of medical problems in cows, from low tonicity and feed intake to increased risk of mastitis, metritis and ketosis, in some cases cattle can develop milk fever, and low calcium can in even result in death. Inexpensive when compared with a specialist feed ration. A bolus is a good alternative or even compliment to calcium injections. When combined with Bolutech Activ and reflex, Flash create a perfect nutritional supplement regime for dairy cows. Ovifresh is a trace mineral bolus from Neolait designed to increase outcomes during lambing. Formulated with organic trace elements and minerals ideal for helping to increase outcomes during reproduction. A single application of Ovifresh makes for a simple cost effective solution to nutritional short falls in an animals diet. The carefully balanced nutritional profile of Ovifresh helps to improve antioxidant activity, helps the cyclicity and expression of oestrus, and is adapted to oestrus synchronisation programmes. A Ovifresh bolus administered 20 days before breeding will slowly and evenly release the trace elements needed to improve ewes fecundity, help the development of the ovulatory follicle and support the regeneration of skin and skin appendages. It has been a long acknowledge truth that diet plays a huge role in a persons health. What we eat has been linked to a whole range of health problems such as heart disease, diabetes, obesity, and cancer. We are encouraged to cut back on things that are bad for us and favour ingredients that promote good health. A pets diet is equally important. What cats, dogs and other pets eat can have a dramatic effect on a pets health and wellbeing, and the issue is complicated by the staggering variety in different pets needs. A cat and a dog obviously have different needs, but even with these definitions there are a lot of different needs that can be addressed. A small dog like a pug has such a different size shape and purpose to a sheep dog that its metabolism and other specific needs are bound to be different. A breed specific food will likely control a pets calorie intake to match the animals natural needs, as well as containing ingredients that help to protect against health problems that particular breeds are susceptible to, a hypoallergenic food will help care for cats and dogs with allergies, and so on. Speciality foods come in many different verities each specifically deigned to care for a particular pet or a particular problem. Here is a list of some of the most common speciality foods and why you might want buy them. Breed specific- The terms ‘dog’ or ‘cat’ encompass a huge variety of weights, shapes and metabolisms. A Chihuahua can be as small as a kilo and a half and fifteen centimetres tall, where as a chow can be 30 kilos and fifty six centimetres, a greyhound has a different metabolism to a pug, similarly cats come all sorts of shapes and sizes. If a pug ate food designed for a greyhound it would get fat pretty quickly. A pug might have a natural inclination toward certain illnesses that can be protected against through diet, a greyhound might have different ones. Pet food companies such as Royal Canin offer a wide variety of food designed specifically for different breeds of dogs and cats. Age- As your cat or dog ages and their bodies change so do their nutritional requirements. As a kitten or a puppy is developing they require a higher concentration of nutrients in order to not only maintain themselves but to also create the capacity for growth. Whereas it is natural that a senior or geriatric pet needs a different nutritional profile to help guard against ailments associated with age. Similarly a young animal requires higher carbohydrate levels to fuel their active lifestyle, whereas an older pet who is far less active would just grow fat. Picking the right food in line with a pet’s age will help your pet by keep your pet healthy and active throughout their life. Specific health concerns – Companies such as Royal Canin offer a range of products designed to aid in the recovery or managements of specific health problems such as Urinary Health, Diabetes, Digestive Support, Liver Health, Illness and Surgery Recovery Support, Renal Health, Weight Management, and Cardiac Health. These products are designed to use ingredients that specifically help to care for animals with these ailments and are available through your vet or licenced vendor. General health – As well as the more specific problems that can be helped by diet, there are also a range of products designed for more general health and care of a pet. For example foods that help control the weight of a dog , or a food designed for cats who are fussy eaters, or hypoallergenic food for animals with allergies. Hypo allergenic- Just like people, pets are perfectly capable of developing allergic reactions to certain foods. Allergies can manifest themselves as something as simple as a mild irritation, but at its worst an allergic reaction can be life threatening. A hypo allergenic food will typically use sources of protein and carbohydrate that an animal hasn’t had a chance to develop allergies to. Often hypo allergenic foods will use duck or venison as a protein source and oats or rice as a carbohydrate source. Urinary tract health – Urinary tract foods aim to prevent the development of crystals and stones in the urinary tract by controlling the levels of calcium, oxalate, phosphorous and magnesium in a pets system. digestive tract instead of being spat back up. Dental health – Dental health foods are simply foods designed to clean a pets teeth as they chew. Dental health foods might also contain ingredients that aim to reduce the build up of tartar. These foods are especially beneficial for pets who won’t sit for their owner to clean their teeth, or for breeds and animals that are susceptible to gum disease. Joint care – Designed for pets who have trouble getting around, Joint care foods contain ingredients such as glucosamine and chondroitin which work to rebuild damaged cartilage and reduce inflammation around joints. Birds make fantastic pets. From the parrot to the cockatiel, birds are beautiful, friendly and inquisitive, giving so much to a home they deserve to be a far more popular pet. While people often choose a dog or cat as a pet there are many advantages to having a bird. Intelligence – Birds are incredibly intelligent animals. Birds display impressive cognitive skills such as problem solving, using tools, navigational skills and have even displayed the ability to count from left to right. Certain birds such as parrots can even mimic speech making them great companions. Sociability – Birds are as affectionate as any cat or dog. Their gentle social natures make them excellent companions. Some pet birds become constant companions to their owners as they go about their chores. 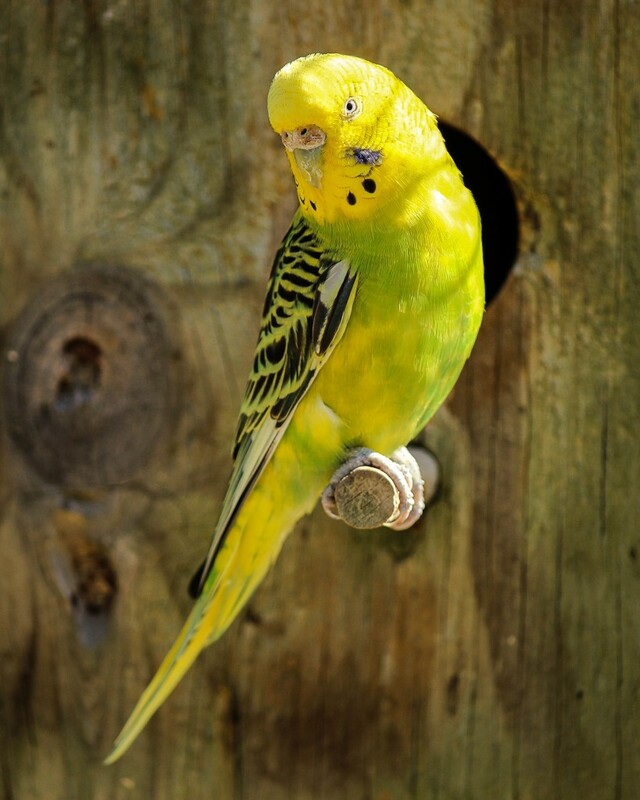 Inexpensive – After the initial setup costs, birds are relatively inexpensive to keep. Birds only need a relatively small amount of feed for their diet, and this can be augmented with fresh fruit and vegetables. Space – While larger pets such as cats and dogs require room to run and play, a bird doesn’t require a huge amount of space and could happily by kept in a small flat. As it’s where a pet bird will spend most of its time, the most important thing to consider is which cage is best.This will depend on which type of bird will make the cage its home, there are also other important points to consider. 1. The minimum width of a bird cage should be 3 times a birds wing span, if there is more than one bird in the cage, then the space should be three times the combined wingspan. 2. There should be enough space for the birds to turn on their perch without scraping their tail feathers. 3. The cage height should be three times the length of the bird from the top of its head to the tip of its tail. More height is required the more birds in the cage. The orientation and spacing of the bars on a cage are also very important. For small birds such as cockatiels and budgies, the orientation of the bars is unimportant, whereas parrots like to use their beaks and feet to climb and so require horizontal bars. Another important consideration is how far apart the bars are spaced. If the bars aren’t spaced correctly then the bird can get it’s wing or another body part trapped and injure itself. Another thing to consider is the shape of the cage. A circular cage may not be best for a bird as they can feel insecure without corners. Or if you have flighted birds the length of the cage becomes more important than the height. As with all considerations on this list the type of bird will largely dictate the kind of cage it will require. Researching a particular species needs is important when buying a pet bird. A pet bird will spend the majority of its time standing on its perch so it’s something that needs to be right. There are a range of types of perch available and a mixture of a couple of types is probably best. A mineral perch give the bird somewhere to groom and break its nails where as a rope perch can provide verity and interest to a birds life. When placing the perches it is important that they don’t impede a birds flight, or movement. A perch also should be directly over the feeder or drinker. Ideally one perch should be next to the feeder, one should be next to the drinker and one elsewhere. A birds diet is very important. Feeding a bird a balanced diet will help to maintain the birds health, happiness and ensure a long lifespan. Fortunately it has never been easier to feed a bird a high quality diet. As with cages, the right food will depend on the species of bird. The parrots and the cockatiel are very different shapes and sizes and live in very different environments, and so have different needs. There are five main types of bird dietary classification. 1. Florivore – These birds consume flowers as the main part of their diet. Nuts, berries, roots, bark, seeds, and fruits will make up the diet. Examples of this kind of bird include the red faced parrot, the military macaw and the blue and gold macaw. 3. Frugivore – Fruit eaters who supplement their diets with nuts and seeds, frugivores include the blue throated macaw and the green winged macaw. 4. Omnivores – Omnivores like a little meat in their diet, as well as seeds and fruits these birds enjoy insects and some invertebrates. The sulphur crested cockatoo and red tailed amazon are example of omnivores. 5. Granivore – Granivores such as the budgie or cockatiels enjoy grains and seeds. No matter whether you have a parrot or a cockatiel there will be a high quality food to meet the nutritional needs of your bird and the species of bird should be considered when designing its diet. While the type of bird affects the diet, generally speaking a birds diet will consist of a high quality breed specific feed augmented with fresh fruits and vegetables. An insect paste can be bought as a treat. It is important to have variety in a birds diet to prevent boredom. Whether a bottle or dish is used it is very important that a bird has an adlib supply of fresh clean water. Dehydration can cause major health problems and can occur within a day of not having water. A cuttle bone is also important as it will provide large amounts of calcium and other trace elements that birds require to be healthy. Fleas are a nightmare. Once they take control of a home they can be very difficult to get rid of. A single flea can lay up to 50 eggs a day, that’s an incredible 1500 eggs a month. In fact statistics suggest that for every flea you see there could be as many as 99 more lurking in your home. 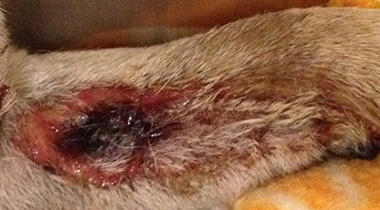 While not quite such prolific breeders, ticks are still very unpleasant little parasites. Latching on to your cats and dogs to feed on their blood before falling off and waiting for their next victim. Carrying disease and parasites, fleas and ticks have a negative effect of the health and wellbeing of your pet and are not welcome in a home. If the thought of swarms of blood sucking parasites isn’t enough to make you want to flea your pet, there are a few more serious problems caused by fleas and ticks. The itchiness from the biting and scurrying can cause a pet an enormous amount of distress and can develop into an allergy causing further effects on an animals health. Fleas and ticks are capable of carrying a range of diseases and parasites that will be damaging to your pets health, such as Mixamatosis in rabbits, Lyme disease, as well as worms that can affect all animals, as well as diseases that can be passed to humans. A large enough infestation can even lead to fatal anaemia. Sometimes discovering a pet has fleas can be as simple as seeing one scurrying through a pet’s fur, however this might not be the best way to tell if your pets is suffering as scurrying fleas are often scratched away before you can see them. Better to look for excessive grooming, chewing, scratching and biting all of which are good indicators of fleas and ticks. It can sometimes, although not always, be possible to see small pink bite marks on the skin and more extreme reactions can lead to hair loss and sores. Possibly the best way of telling if your pet has fleas is to give them a good fuss. If you find sandy black specs in the coat that can be crushed into red stains then your pet has fleas. Although sometimes mistaken for eggs, these small black specs are actually flea faeces. Ticks come in a range of sizes and colours. The size of a tick can vary between a pin head and fingernail, they can range in colour from dark green to pale cream, but generally a tick will appear like a small rounded pebble attached to the pets skin. Different flea treatments and prevention products work on different stages of a fleas life. Therefore in order to prevent and treat a pet for fleas it is important to understand the life cycle of a flea. As well as existing on your pet, eggs can be scattered anywhere and everywhere. To make matters worse at just 0.5mm in size and white or even transparent, eggs can be very difficult to spot. Eggs simply fall off a pet as they scratch, and develop happily in your garden, carpet, sofa, bed, where ever a pet spends time there could potentially be eggs. The eggs then hatch into larvae, tiny worm like creatures that can live on the organic matter they find where they hatch. Shed skin, dead insects and even the faeces of adult fleas, which is rich in blood can sustain the development of a flea. After moulting twice and growing in size the larvae enters the pupal stage. During this stage the larvae weaves its self a cocoon, moults one final time and undergoes a metamorphosis into its adult form. Fleas are extremely resilient during this stage, which can take as little as four days, however fleas are capable of surviving for long period of time in the pupal stage if the environmental conditions are not good for survival. Warmth, noise and an increase in carbon dioxide can all indicate a host is near. A newly emerged adult flea is able to jump almost immediately. Understanding a fleas life cycle helps show that a spot of topical treatment when a pet owner notices a few fleas on an animal probably won’t be enough to address the problem. A regular and multi-pronged attack is necessary to keep on top of the problem. Acting quickly to treat or prevent flea and tick infestations is very important to your pets health. Flea and tick treatments for animals come in three main types. Spot on – Topical flea and tick treatments typically come in the form of a liquid applied directly to the skin. Spot on treatments kill adult fleas, larvae and eggs and typically last about thirty days. Oral – typically in pill form, oral treatments can be very effective. 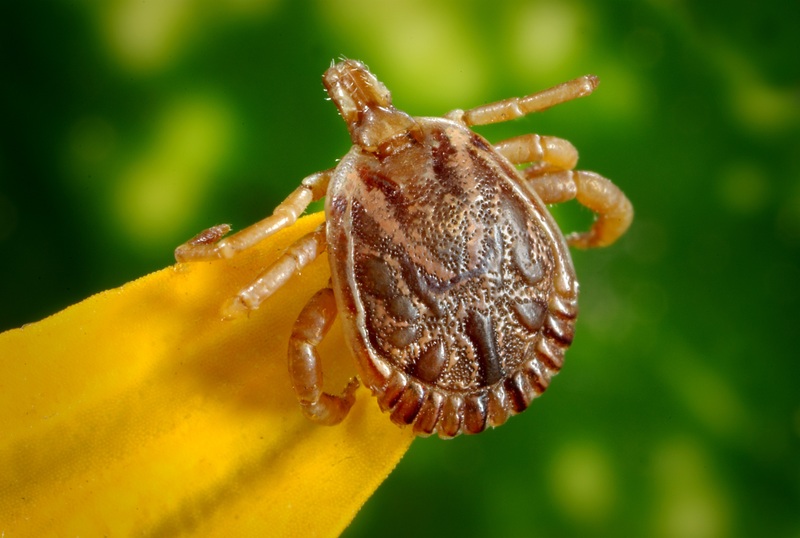 Travelling through the blood stream oral treatments kill adult ticks, fleas and larvae when the bite the animal. Collars – Flea collars are designed to repel fleas and typically last for several months. If prevention fails and you find a tick on a cat or dog there are a couple of things to bear in mind when attempting to remove it. First of all don’t just leave it to your pet, deal with it yourself. Don’t try to brush it off or pick it with your fingers as this can cause the ticks probe to break increasing the chance of infection by diseases such as Lyme. Don’t use chemicals, alcohol or even try to burn the tick off as this can cause irritation and damage to your pets skin. The best way to remove ticks is with a tick twister, a tool used by vets specially designed for the job. Failing that, a pet owner can use tweezers, grabbing the tick gently as close to your pets body and gently levering the tick out of the skin. As we’ve seen simply treating your pets may not be enough. One of the most effective way to control fleas is to keep things clan! Make sure to wash a dogs favourite blanket of a cats favourite cushion. When hoovering, don’t stop at the floor, make sure sofas and upholstery gets a good going over as well. Good, thorough cleaning practices will help control the fleas that survive other treatments. The first thing to consider is how many hens are going to make the chicken house home and how much space there is in the garden. As a rule of thumb poultry require a minimum of 30cm space to be comfortable. So if you decide to keep 5 chickens you will need a coop with a minimum of 4.5m floor space. The perch should be 5-8cm wide with smoothed out edges with 20cm in between each perch to allow the chicken enough space to be comfortable. Perches should also be removable for ease of cleaning. Chickens naturally try to perch in the highest spot so the perch should also be higher than the nest box entry. The nest box should be in the lowest darkest corner of the chicken house, so the chickens feel safe and can lay privately. If the nest box is high up chickens will try and sleep in the nest box making the area dirty. Keeping a chicken coop clean is very important. A good house should have a large access door that gives easy access to every corner of the coop. The house should be raised off the ground to prevent rats from nesting and should be easy to move about the garden. The overall construction of the coop should be solid. Poultry need somewhere they can shelter from rain and cold weather. The walls should be solid enough that chickens can bed down and keep warm in the winter. The roof should be solid and free of cracks so that there are no leaks, damp is very bad news in a chicken house. A chicken house should also have ventilation points and a roof that is high enough that the house doesn’t get to hot in the summer, and so that fumes don’t build up in the house. A chicken house needs to be heavy enough that it won’t blow over in strong winds, and also to withstand predators such as foxes or badgers. Chicken houses are generally made from either wood or plastic. There are advantages and disadvantages to both and in the end the decision will probably come down to personal preference. However there are a few things to consider. The big advantage to a plastic house comes from cleaning. A plastic chicken coop can be cleaned and dried very quickly which is a huge advantage particularly in winter. Wooden houses on the other hand are naturally breathable. This means a wooden coop is far less likely to have condensation running down the walls which helps prevent the growth of moulds that can cause respiratory problems for birds. The run provides an area for chickens to exercise, find bugs to eat and gives poultry a space there owners don’t mind them destroying. As well as containing the poultry, the run helps to protect chickens from predators. A high quality fence will keep animals such as cats and foxes out of the run, providing peace of mind for owners that their chickens are safe. When it comes to how to size the run, work on the rule that a chicken needs about one square meter of space in the run to be happy. Chickens need a balanced nutritious diet fed constantly throughout the day in order to maintain a long healthy life and produce a good number of high quality eggs. Protein is particularly important to chickens as it affects egg laying and feather growth. In the wild chickens forage for insects, worms, slugs and snails however in a garden it is unlikely chickens will find enough protein in this manner. A high quality commercial feed will be specially formulated to provide a balanced diet and is a must for a backyard chicken keeper. The type of product given to chickens is dictated by age. 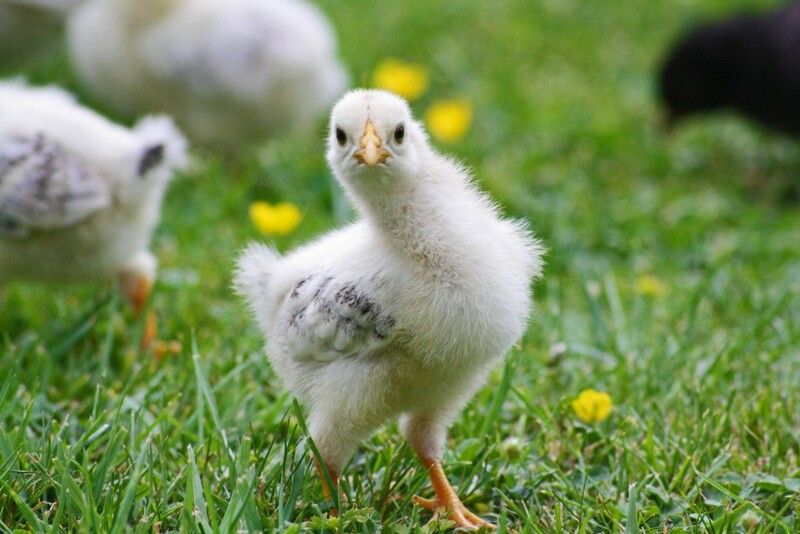 Chick crumb is fed up to 5 weeks and contains 19% protein. Grower pellets are typically around 19% protein and is fed between 6 and 18 weeks. After that the switch is made to layer pellets at about 15% protein. Chickens also require grit added to their feed. Chickens don’t have teeth so they peck at small stones to help grind up food in their gizzard. Grit with oyster shell is particularly useful as it provides calcium which helps produce eggs with strong shells. As a treat chickens can be given corn. Chickens love corn, but if they eat too much they can become fat and produce fewer eggs. A handful of corn per chicken is plenty. There are a bewildering array of chicken feeders on the market. The only hard and fast rule is that the feeder must keep the feed dry. Wet feed can lead to disease and clog the feeder preventing chickens from feeding. One of the first things to consider is plastic or steel. The big advantage of plastic is hygiene. Because plastic is non porous so there is nowhere for bacteria to hide. A plastic feeder has more options when it comes to cleaning products, as some may be too strong and corrosive for metal. Plastic feeders also tend to be cheaper than metal which might be a good option for someone without much money or only a couple of chickens. Metal feeders on the other hand tend to be heavy, so they won’t blow away, and more durable, so they’ll last longer. Against that metal feeders tend to be more expensive, and are perhaps not quite as hygienic. The next thing to look for is a feeder that spreads the feed around evenly. Chickens are very competitive when it comes to food and things can turn nasty around the feeder. It is not uncommon for older hens to bully younger ones. A feeder that offers a good dispersal area will help to ease tensions and make sure all chickens are well fed. It also very important to buy a feeder that is easy to clean. A dirty feeder can lead to disease and illness for your chickens so it is important to have good access to the whole of the feeder in order to keep your chickens healthy. Good access will also save time and help you avoid becoming frustrated. As with feeders, choosing the right product begins with metal or plastic. Plastic drinkers are cheaper and more hygienic, whereas metal are more durable and heavy weight but more expensive. Hygiene is as always very important. When choosing a drinker make sure it is easy to clean, but also the water remains clean. Poultry tend to be a bit clumsy and very messy. Having a source of water that remains free of litter, dirt and feet is important. Royal Canin pet foods are different for the simple reason that their foods are designed for pets rather than pet owners. Royal Canin was created by a vet named John Cathary in 1968 who realised that not all dogs and cats are created equally and feeding every animal what is essentially the same food might not be the best thing for them. A Pug is a completely different size and shape to a Labrador. Just watching a Labrador bounding around then a pug amble along suggests that the two animals would have very different nutritional needs from their diet. Similarly a house bound Persian Cat is very different to a sleek Siamese. By scientifically analysing the many different breeds and vareties of animal using cutting edge research, Royal Canin has created a range of products specially designed for the nutritional and health needs of each specific pet. Large or small, young or old, pure bred or mixed Royal Canin use the finest ingredients to create a balanced diet and keep a pet happy and healthy throughout their entire lives. Royal Canin’s research team put nutritional value, not just ingredient selection at the heart of their food. Each formula contains a precise balance of over 50 nutrients that serve specific functions to help maintain the health and happiness of a pet. Amino acids, minerals, vitamins and fatty acids meet the basic nutrition requirements for healthy physical development and maintenance. Protein, carbohydrates and fat provide energy to cats and dogs. The best antioxidants, prebiotics, fibre and essential fatty acids help address kidney issues, digestive problems, the effects of aging and other common health issues. 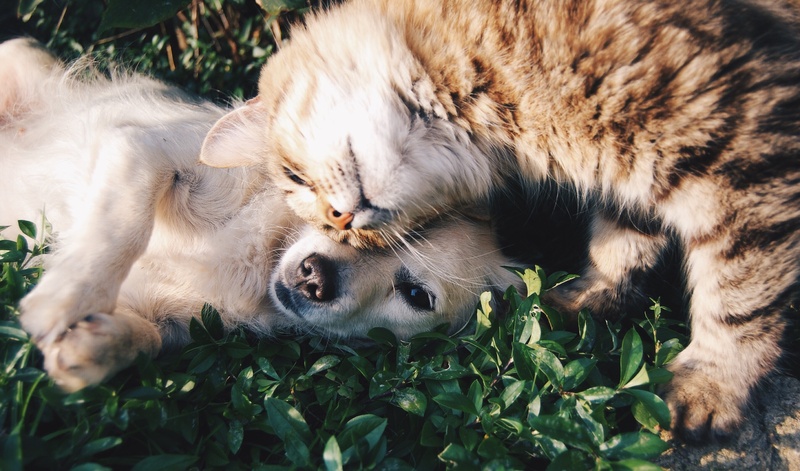 Very specific nutrients can be limited or added in certain formulations in order to help cats and dogs recover from particular health issues. The scientific research doesn’t stop at the nutritional content of the diet. The size, shape and even the density of each individual piece of kibble has been tested to meet the needs of the dog or cat it is designed for. For example A Persian Cat eats with the underside of its tongue, so Royal Canin scientist quickly realised that an almond shape kibble would be easier for the cat to pick up. A Labrador dog on the other hand has a tendency to gobble its food. A doughnut shaped kibble was therefore designed to slow the dog down and make it chew. Slowing the rate of ingestion, by slowing a pet’s ingestion and forcing them to chew has a positive effect on digestion. As well as the smell the way the food feels in the mouth wiii help avoid problems with fussy eaters. The density of the kibble affects how full your dog or cat feels after a meal making it easier to control how much your dog eats. Different breeds of pet have very different nutritional needs. A Bull Dog and a German Shepard are very different animals, who require very different diets. Their size, shape, metabolism and even fur require a different nutritional profile to cater for their needs. Royal Canin uses cutting edge research to cater for those needs. As your cat or dog ages and their bodies change so do their nutritional requirements. As a kitten or a puppy is developing they require a higher concentration of nutrients in order to not only maintain themselves but to also create the capacity for growth. Whereas it is natural that a senior or geriatric pet needs a different nutritional profile to help guard against ailments associated with age. Similarly a young animal requires higher carbohydrate levels to fuel their active lifestyle, whereas an adult pet who is far less active would just grow fat. Picking the right food in line with a pet’s age will help your pet by keeping your pet healthy and active throughout their life. Companies such as Royal Canin offer a range of products designed to use diet to aid in the recovery or managements of specific health problems such as Urinary Health, Diabetes, Digestive Support, Liver Health, Illness and Surgery Recovery Support, Renal Health, Weight Management, and Cardiac Health. These products are designed to use ingredients that specifically help to care for animals with these ailments and are available through your vet or licenced vendor. As well as the more specific problems that can be helped by diet, there are also a range of products designed for more general health and care of a pet. For example foods that help control the weight of a dog, or a food designed for cats who are fussy eaters, or hypoallergenic food for animals with allergies. Royal Canin’s commitment to quality extends from its research stage all the way through to manufacturing. Raw materials are selected from suppliers who strictly adhere to Royal Canins specifications. Every Delivery of raw materials is checked before the lorry is even unloaded, so that they can ensure Royal Canins strict nutritional standards have been met and that there are no micro toxins present. Royal Canin uses the HACCP (Hazard Analysis Critical Control Point) method to ensure tight quality control at all stages of manufacturing. Including a final round of tests and analyses to make sure the final product meets every standard set. Royal Canin’s ethos has kept the company at the cutting edge animal feed research and production for 40 years. Their commitment to the specific needs of every type of cat and dog ensures that they continue to produce high quality pet foods that will keep your pet happy and healthy throughout their entire lives. The best pets for City living. For all its advantages, living in the city sometimes presents a potential pet owner with restrictions on owning a pet. Smaller spaces, and close neighbours can be problematic if a pet owner wants a big noisy animal. But don’t despair! With a little forethought and some careful planning there is a pet to suit almost any situation. Here are our suggestions for the best pets for city living. Cats are a natural fit for city living. They don’t need walking, clean themselves and can be trained to use a litter tray. Keeping a cat in can also protect your pet from dangers such as cars, disease and other animals. A potential cat owner might also want to consider adopting an older cat. Not only will you be giving a home to a fluffy thing, but an older cat will have less energy and cause less devastation in your home. Dogs come in many different shapes and sizes and vary a great deal in how much space and exercise they need, as well as how noisy and sociable they are. Dogs can make great pets for flats and city living as long as you put in the research before dashing out and grabbing the first cute face you see. French bulldogs, or Dachshunds are perfect, they are small and require little exercise. 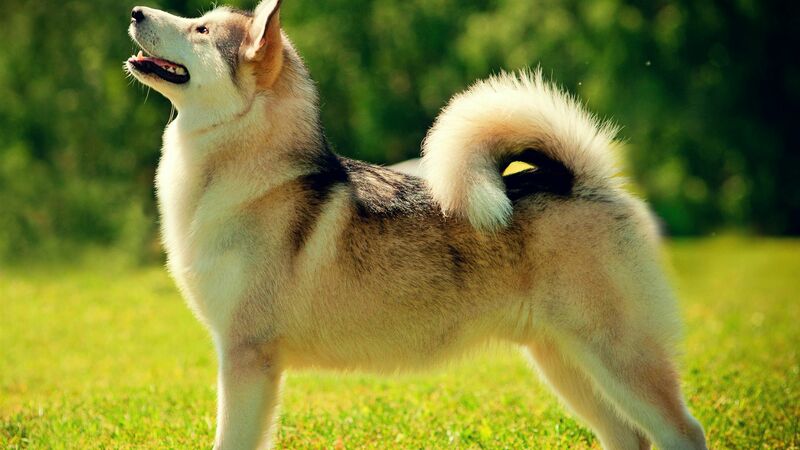 For a more complete breed guide please click here. Hamsters, mice, and rats have a lovely inquisitive, social natures. Any rodent lover knows you can lose a lot of time watching their ever twitching noses probing every nook and cranny they find. Lizards are great pets for city living, very little mess, quiet, no fur to aggravate allergies, and they don’t need huge spaces to bound around in. Plus who wouldn’t want a tiny dinosaur wrapped around their finger? 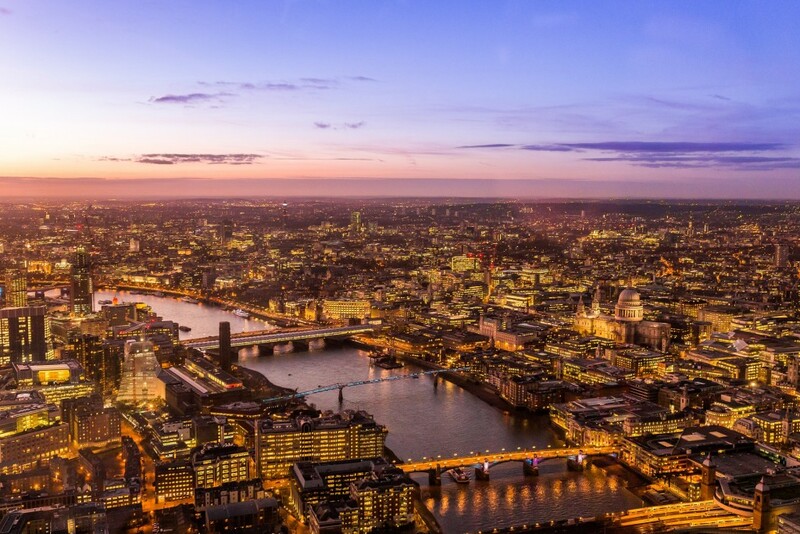 Fish can provide a calm little centre in the otherwise hectic life of the city. These beautiful creatures have many advantages for city living, as with lizards, they are clean, quiet and contained, but they also never develop separation anxiety, which makes them perfect for the workaholic or the social butterfly. Perhaps not for everyone, spider make great pets for a certain type of person. While not sociable creatures, spiders are fascinating to watch as they have a range of interesting behaviours. There aren’t many pets you can match wits with as you try to keep these escape artists contained. Beautiful, intelligent and very social animals, birds make great pets for city living. Birds need relatively little space, are easily trained and are hypoallergenic. Birds are very social animals, the more love and attention you give them the more affectionate and happy they will be. A great pet for someone looking for a real relationship.